This was a really fun movie – there were a lot of laughs and satisfying moments to be had, plus Thor himself seemed to be right on. The special effects were very carefully detailed. The costumes were enjoyable, if a bit cheesy (though they self-spoofed this). A whole lot of fun cameos for the nascent Marvel fanboy in me (I have been staying away since Civil War, more or less). A lot of cool fights with magic weapons. 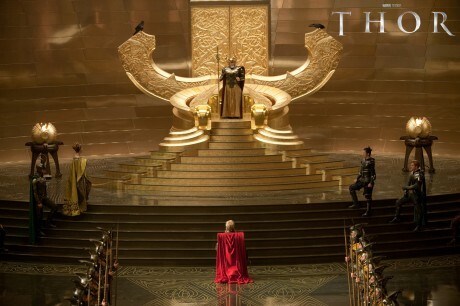 Asgard was very intricately designed. The Destroyer looked quite cool and I actually really liked Loki’s performance. The effects were definitely heavy on the CGI at times. They seemed to try to mask this with big energy flashes and loud sound effects – it worked to a large extent but could make it hard to see. I think the 3D added to this – it had some rough points, and I think it looked blurry at times. The plot was a bit compressed – probably Thor’s sojourn should have been measured in months or years instead of days. The cheesiness factor was high if you’re expecting something like The Dark Knight. The CGI / 3D when it got bad. The Frost Giants (in a good way). Generally it was a very attractive movie – I enjoyed all of the fantasy realms, and the little desert / New Mexico sales looked like somewhere I’d like to live and Natalie Portman is always watchable, though her ditzy but gorgeous assistant stole a few scenes from her.